Each of the scholars involved on this panel has raised some of the historical and contemporary challenges associated with studying Scientology (or, as they suggest, “Scientologies”) and their thoughts about potential directions forward in circumstances which can sometimes feel like a frustrating research impasse. To my mind, what has stood out most clearly across the entire discussion is just how politicised and contested the study of Scientology has become – or, I would suggest, has always been – and the myriad of challenges scholars face in positioning themselves to pursue their research in light of this polarized scholarly context. While advances have been made in some areas of the wider study of New Religions toward less polarization, the topic of Scientology in many ways continues to appear intractable and resistant to scholarly analysis, though things appear to be slowly changing. The panelists have surveyed extremely well some of the outside conditions which need to be in place for scholarship on Scientology, in its various garbs, to move forward and I concur with many of their observations here, particularly regarding their desire for the leadership institutional Church of Scientology to become more open to research and the need for greater emphasis on the lived/vernacular religion of everyday Scientologists. I’m also pleased to be able to write that since this panel was recorded Donald Westbrook’s Among the Scientologists has become available in e-Book form, a publication which I hope will start some new conversations about ways forward in this field of research. However, for this to happen, scholars of religion need to first think seriously about whether how can realistically respond to these external factors and to acknowledge what factors fall well outside of our capacity to change. Without belabouring the point in this informal response I think we need to recognise and reflect at much greater length on the fact that the peculiarly historically-conditioned nature of this contested topic – which we might, somewhat grandiosely, call “Scientology studies” – places quite severe limits on scholars in what they can do to move discussions forward in terms of media depictions; the approach of the institutional Church of Scientology to research and dialogue; and the attitudes former members. All our panelists have recognised and given voice to some of the reasons for this and listeners should be attentive to their collective wisdom here. I have much more to say about these three aspects, but suffice to say here that I am less than sanguine about the prospects for change in these areas, though not entirely unhopeful. Within academia, however, I’m slightly more hopeful and in this response I turn my attention to this question: What might those in the academy change in how we approach researching Scientology and how might we move toward a depolarization in terms of scholarly paradigms? For scholarly research on Scientology to move forward I humbly suggest that at least four interrelated proposals should be considered here; none of which is original or unknown in the wider study of New Religions. Firstly, scholarly discussion must take place without fear or favour between scholars according to scholarly conventions and unimpeded, so far is realistically possible, by unreasonable attempts at moral suasion regarding publication and research by outside stakeholders from the Church or from ex-members and critics. Second, a generational transition and willingness to work to put to rest past conflicts between scholars and scholarly paradigms in a spirit of mutual academic endeavour. Third, a more coherent and organised research program which draws on multiple fields of expertise and recognises the contribution of all serious and rigorous research. Fourth, increased reflexivity and moral accountability amongst scholars whereby we acknowledge our individual blind-spots and embrace some kind of scholarly common good model. To be emphatic, none of these are novel proposals, but I believe they bear repeating. I am under no illusions that what I envision below is a very likely outcome, but idealism and aspiration are not in themselves necessarily bad things and if we can name some of the problems and start a conversation in a respectful tone here that is a first step. Hitherto, as our panelists have each noted, public discussion of Scientology, arguably more than any other New Religious Movement (NRM), has lent itself to an immense degree of rancour and acrimony and too often scholarship is used or abused here to support or attack various positions – often quite apart from scholars’ intentions and sometimes with collateral damage to academics and their personal and professional reputations. For scholarship on Scientology to move forward scholars need to be confident when writing and publishing that their work will be judged on its academic merit alone and not on whether or not their conclusions are of utility in the mobilization and counter-mobilization between various parties involved in the “cult scene.” Scholarly contributions of the discussion of Scientology need to be scholarly and stand up to rigorous peer-review which stands as far as possible above overt partisanship or virtue signalling. Scholarship, however, also needs to be made a safe-space for genuine and probing inquiry, ideally not a site of fear, self-censorship, or activism (which it has sadly often become). For this to happen both the Church of Scientology and its critics, as well as scholars with differing opinions on Scientology, need to respect a rigorously neutral scholarly sphere where the kinds of moral suasion often applied to scholars at present are minimised and the position of the scholar qua scholar is respected. In such a situation we need to maintain a space for conversation which recognises differences of perspective, but holds each contributor – whether they be serious insider; an academically serious critic; or any other scholar – to the same rigours of peer-review and scholarly role neutrality. The contested nature of Scientology will continued to mean that the politicisation of scholarship here is inevitable, but petty point-scoring exercises and untamed abuse are not, and we need to be able to recognise good scholarship and research for what it is, regardless of who has done it, their past publications or affiliations, or indeed whether or not we agree with them. We need to be willing to give “voice” to different perspectives and not to allow academic processes to be subtly hijacked to silence “dissent.” This might seem like the current status quo, but sadly it often isn’t, and we need to work to de-politicise as far as possible and realistic the academy and work toward an ideal of role neutrality as a scholarly norm. Current often heavy-handed attempts at moral suasion by various parties against those they alternatively label “cult critics,” “apostates,” or “cult apologists,” serves little scholarly end other than to entrench an “epistemological Manicheanism” (to borrow a phrase from the late Thomas Robbins); to silo scholars into sometimes monologic paradigms; and ultimately to impede research moving forward in different and fruitful directions. As Eileen Barker, a scholar who has worked exceedingly hard toward dialogue and methodological rigour and paid the price by being the frequent target of unfair abuse, has reminded us for decades now, different social constructions of reality are operating between (sometimes) mutually exclusive parties, scholarship will only move forward if we can recognise this and acknowledge its operation in our own work (a point taken up further below). Scholars can only work toward overcoming this impediment by open and respectful dialogue across what have become somewhat “party lines,” but for it to proceed further, more good will is needed. This brings me to my next suggestion. I am hesitant to raise this, but I feel it must be articulated, even at the risk of dredging up ancient history. As our panelists clearly allude to, a clear deficit of trust and good will exists between some scholars who have written on Scientology. The often-combative nature of discussion between the “New Religions Studies” and “Cultic Studies” paradigms, as outlined by W. Michael Ashcraft in A Historical Introduction to the Study of New Religious Movements (2018), has meant that old grudges have died hard. Anyone doubting this should spend the time reading the thoughtful debates in Sociological Analysis (1983) on “sponsorship”; the Nova Religio (1998) debate on “academic integrity”; and the edited volume of Benjamin Zablocki and Thomas Robbins Misunderstanding Cults (2001) and various reviews. The reasons for these disputes are well known (and often justifiable) to the parties involved and without apportioning blame or pointing fingers it must be said that mistakes have been made on both sides of the scholarly fence. Rather than extending such conflicts into the future, however, I believe a younger generation of scholars who have not been directly party to these controversies need to open doors for dialogue here and take up the baton of scholarship rather than crying foul over perceived past injustices or perpetuating mistrust. This will be a significant challenge for many of us, from both paradigms, but I suggest probably less for scholarly than personal reasons. Most of us studying NRMs, whether we follow a “New Religions Studies” paradigm or a “Cultic Studies” paradigm (and I do not believe the two are necessarily mutually exclusive and that no middle ground exists), have in one way or other been supervised or mentored by an older generation of scholars and feel obliged to defend their legacy. However, the last few years have witnessed a series of important volumes on Scientology featuring a multi-generational cast of contributors, bringing a combination of new and entrenched perspectives on the issues at hand. There is much to learn from these works, but for us to do so we have to actually read one-another’s contributions seriously, and I suggest with a hermeneutic of charity. War-weary veterans of the “cult wars” might be hesitant to do this – for many the wounds received are still raw – but younger scholars should consider this. The up-and-coming generation of scholars here need to have the courage to cite and quote work from different perspectives, and more importantly, to engage in respectful scholarly discussion and rigorous debate with different perspectives without resorting to ad hominem attacks or a self-righteous party spirit. If the serious study of NRMs is to continue as a subfield in religious studies, and not fade away into a rancorous oblivion of competing but not conversing paradigms, younger scholars need to work harder to publish together in the same journals, collaborate where necessary, and divide labour where appropriate. We do not need to carry on personal disputes between our forebears into the next generation. As a starting point, we might consider, as far as possible, refraining from acrimonious reviews of work from another paradigm which fail to appreciate good scholarship for what it is, but instead focus on critical points of pedantry which fail to see the forest for the trees. This brings me to my third point. If a serious and academically enriching dialogue can be seriously broached we will also have to recognise that by virtue of the highly politicised and polarised nature of the study of Scientology, divisions of labour in the kinds of research we do exist and are often necessary. However, by speaking openly about the challenges of our different kinds of research, rather than operating in isolation, we can enrich rather than denude or undermine each other’s work. 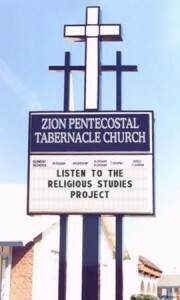 Scholars in the “New Religions Studies” paradigm have often established relationships with various kinds of Scientologists and are often privy to information which may not be accessible by those studying other stakeholders. Similarly, scholars in a “Cultic Studies” paradigm often have greater cache with former members than is often the case for those who are in conversation with the institutional Church or, as our panelists remind us, have been labelled as “cult apologists.” Both groups of scholars have built relationships with informants which operate on mutual trust and respect and bring with them both written and unwritten obligations. Both groups of scholars also risk, however, the “contagion of stigma” which can easily operate to discredit them with other stakeholders by virtue of their positionality and lead to concerns being raised by stakeholders about real or perceived duplicity (what we might call – mimicking pagan studies – the “Wallis Effect”). While I don’t prima facie disagree with the idea that a scholar can both specialise in research on current and former members of the Church of Scientology, the opportunities for moral suasion multiply in situations of conflict and a more collaborative and cooperative division of labour across paradigmatic lines might provide a pragmatic rather than an ideal way forward which recognises the highly charged field in which “Scientology studies” operates. Some pressure to “take sides” will be applied no matter what we do, all we can do as scholars, however, is work to be role neutral and peer-review and respect each other’s work in scholarly spirit rather than operate with a bunker mentality. A present we lack a truly synoptic account of Scientology and in the contemporary academy such an account is unnecessary and arguably undesirable. What we have instead is a growing number of single-subject studies which cumulatively add to our understanding of Scientology in a more holistic sense, as a religion functioning within a wider social sphere and in interaction with mutual conversation partners. A piecemeal and respectful development of such studies is a goal we should pursue in unison, but as scholars, not as partisans. Part of any dialogue is a recognition of past faults and a willingness by scholars to own our mistakes. Reflexivity in scholarship is important, but difficult, and publicly owning up to our shortcomings is often unbefitting with the tone of our times, which I suggest favours a dangerous trend toward “epistemological Manicheanism” and feigned moral righteousness. Nowadays it is often more convenient to retreat into a sense of righteousness and close our ears to uncomfortable truths; especially when we may have felt compromised, co-opted, or deceived by our informants or misunderstood by our critics and colleagues. Some will always resort to self-justification here and that is unavoidable. Scholars, from both camps, however, need to be more discerning before following this path. While none of us can easily overcome various personal biases or lenses which impact on our work, we can acknowledge them and I suggest we need to do this far more readily. Instead of assuming a panoptic scholarly lens we must acknowledge the limitations of our viewpoint at the outset and make our own positionality more explicit. Are we focusing on written documents, ex-member informants, current member informants, or both? What is our analytic lens and our methodology? While these seem very standard questions for any good research, they are often missing in popular, but sadly also “scholarly,” discussions of Scientology. But as scholars when our knowledge is piecemeal we are obliged to acknowledge it. The politicised nature of Scientology research has meant that when scholars are asked about Scientology by various parties (usually by the media or other outside stakeholders) they often default to a position of “expert knowledge,” similarly when former members are asked they default to a position of “privileged knowledge,” rarely do either resort to careful qualification and epistemological humility. There is no shame to not knowing everything and we must be more ready to admit this – and to point to it in others in a spirit of inquiry. Piecemeal knowledge is worthwhile because it highlights certain gaps which require further analysis, assuming that our piecemeal knowledge is all encompassing just opens us to methodological critique. Each serious scholar brings pieces to the jigsaw puzzle, but our individual pieces cannot make a complete picture (though some might be more revealing than others). Those of us studying Scientology need to continually take stock about the impact of our scholarship beyond the yellowing-pages (or broken URLs) where our research appears. What we publish will influence how different parties relate to us and we need to be aware of this. However, our first, though not only, obligation needs to be to the academy and while we might have strong feelings about matters like religious freedom and social justice, we can only go so far as our research permits and acknowledge more readily when we simply don’t know! What I suggest above probably will likely seem radical to many, methodologically naïve, and perhaps even utopian or foolhardy to others. As a historian, however, I suggest that to dismiss the potential for a shift in how we approach “Scientology studies” is short-sighted. Not so long ago the “World Religions” were only studied internally by practitioners or by hostile outsiders and missionaries. Today we have experts in various religious traditions who have no personal affiliation to these groups, but by virtue of scholarly inquiry have attained a vast knowledge of these traditions, sometimes superior in certain senses to lived practitioners. Similarly we have experts who belong to these traditions, who can speak accurately and illuminatingly, if not always authoritatively, on their own beliefs. There is no unamendable reason why this can’t be the same for Scientology. As J. Gordon Melton has been reminding us for decades, it is possible to study Scientology! On this note, I, for one, would welcome Scientologists and former members seriously contributing to academia, but like our panelists I believe such prospective contributors must realise that academic knowledge and apologetic intent are usually mutually exclusive. However, I would welcome the emergence of serious Scientology theologians, who can critically reflect upon the Tech and dialogue constructively on its application in scholarly fora. For non-Scientologists studying the group, I suggest, that we have a choice: we can either learn to live and speak with and about Scientology in an academically constructive and productive way, in a spirit of dialogue, or we can decry it and seek to marginalise it. There will always be those who will favour denunciation over dialogue and who will remain unwilling or unable to listen to the other side. The weight of history suggests, however, that at the end of the day decrying Scientology will make little difference to all but a few, and dialogue will probably make small, incremental, and perhaps for a time imperceptible shifts. Eureka moments in understanding and knowledge are few and far between, but building a piecemeal understanding through mutual labour and cooperation seems a better way to me than a studied and intransigent resistance which seeks to maintain a polarized status quo situation. Scientology is a reality in the contemporary religious landscape and, historically naïve predictions of its demise notwithstanding, it seems certain it will survive long after many of its critics. From a historical perspective the Church is far healthier demographically, institutionally and financially than it has probably ever been and while I respectfully doubt its own numeric claims to growth or optimistic predictions of future expansion, I am equally sceptical of claims about its impending collapse. Moreover, Scientology is a fascinating religious movement, and whether one approves of it or not – or, indeed, whether one is undecided or merely ambivalent – it is worthy of the effort of further serious scholarship. I see numerous avenues of inquiry which I believe different scholars publishing today, both in the “New Religions Studies” and “Cultic Studies” paradigms, could pursue fruitfully and to the wider benefit of academic knowledge. The panellists here have highlighted some of the external challenges far better than I could hope to do, but I hope that what I have written offers some humble suggestions for how scholars can overcome some of our internal challenges. During the 20th century, the media has exploded to include radio, television and most recently and perhaps influentially, the Internet. Music has been a big part of this new emerging “mediapolois”, moving from a mostly stand-alone medium, to part of a marketing matrix of people, places and industries. Today, music’s meaning is more often part of a branded ecosystem, not limited to entertainment, but part of the experience of everyday life, including religion. Evangelical churches and, increasingly, New Religious Movements use music as part of a branding exercise that helps to transform them from local congregations into a transnational enterprise. To discuss music, marketing and contemporary religion, David Robertson sat down with Dr. Tom Wagner, an ethnomusicologist, percussionist and lecturer at the Reid School of Music in Edinburgh. They discuss the long history of the use of music in promoting evangelical congregations, and the transformation that came with the development of recording and broadcast technologies. Tom describes his research and fieldwork with Hillsong, an evangelical church movement with an international reach who use music both in their worship and their branding. Later, they discuss the use of music in Scientology, to create and maintain a particular aesthetic, and how Tom sees this research developing in the future. You can download this interview, and subscribe to receive our weekly podcast, on iTunes. If you enjoyed it, please take a moment to rate us . And remember, you can use our Amazon.co.uk, Amazon.com, or Amazon.ca links to support us at no additional cost when buying academic texts, scuba gear, garden gnomes, and more. cult” and “sect” uncritically. Nevertheless, outside of academia, the language of “cults” continues to be used, and particularly through the law, has an affect on the lives of real people. Susan J. Palmer joins David G. Robertson to discuss the intersection between new or minority religions and the law. Professor Palmer describes how she came to study these minority groups, and to realise that they were often being misrepresented, or at least unduly targeted. Discussion ranges from Scientology in France to the Branch Davidians and the Nuwaubians in the US, with issues of secularity, race and “brainwashing” come to the fore. A fascinating overview for anyone interested in how the discourse on “religion” operates in the contemporary world. Religion and the Law (Winnifred F. Sullivan), Studying “Cults” (Eileen Barker), and Is Britain still a Christian country? (Linda Woodhead), and feature essays by Daniel Silliman, Essi Mäkelä, and Kevin Whitesides. You can download this interview, and subscribe to receive our weekly podcast, on iTunes. If you enjoyed it, please take a moment to rate us . And remember, you can use our Amazon.co.uk, Amazon.com, or Amazon.ca links to support us at no additional cost when buying academic texts, fake fir trees, playing cards, and more!